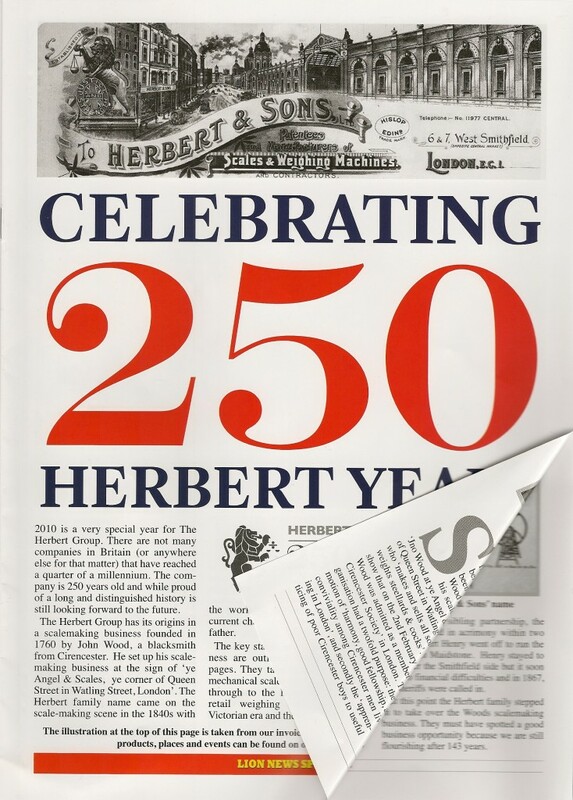 Thomas Medhurst sold the weighing business started by his grandfather, George, to George Herbert in 1881. The Medhurst designs were quite advanced for their time, and were an important factor in the decision to purchase the firm. 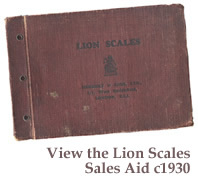 We have Thomas Medhurst’s Pattern Book with his scale designs between 1846 and 1873, and also a ‘Catalogue and Description of Medhurst’s Patent Weighing Machines, Cranes, etc’ dated to c1870. Thomas exhibited at the 1851 Great Exhibition, and his entry is shown in the ‘Official Catalogue of the Great Exhibition of the Works of Industry of All Nations, 1851'. George Medhurst (1759–1827) was a mechanical engineer, born in Shoreham, Kent, who trained as a clockmaker in Clerkenwell. In 1800 he founded a weighing machinery business based at premises at 465 Oxford Street, London, with an iron foundry and works at 8 Little Denmark Street, Soho. This latter is possibly the same building where an earlier scale company run by Valentine Anscheutz and John Schlaff was listed in trade directories between 1761 and 1781. Medhurst was a prodigious inventor, filing a patent in 1799 for a wind pump for compressing air to obtain motive power, and the following year one for his ‘Aeolian’ engine which used compressed air to power vehicles. In 1810 he published ‘A new method of conveying letters and goods with great certainty and rapidity by air’, but did not patent the idea, as well as a book entitled ‘Medhurst on atmospheric railways’ in order to raise money for his project. This was followed in 1812 by his ‘Calculations and remarks tending to prove the practicability, effects and advantages of a plan for the rapid conveyance of goods and passengers upon an iron road through a tube of 30 feet in area by the power and velocity of air’. This proposal was never implemented, although his ideas led directly to the development of the first atmospheric railway. Shortly before his death in September 1827 Medhurst returned to the idea of pneumatic propulsion with his publication of ‘A New System of Inland Conveyance, for Goods and Passengers ... with the velocity of sixty miles in an hour ... without the aid of horses or any animal power’. 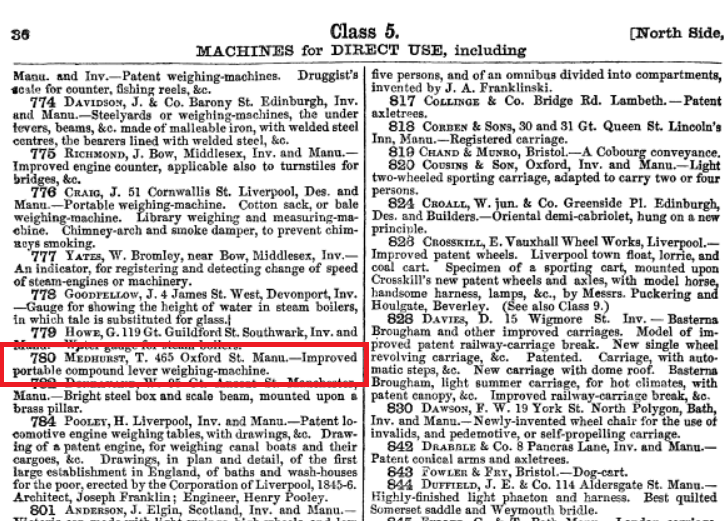 Other, more successful, inventions by Medhurst included a steam carriage, a ‘leak proof’ canal lock gate and of course a variety of weighing machines. Pictured right is the former Medhurst forge in Denmark Passage in 1914, from The Survey of London by Sir L Gomme. Although George Medhurst was a skilled and inventive scalemaker, he had started out as a clockmaker. One of his early brass mantel clocks was owned by the first President of the United States, George Washington, and was stopped at the moment of his death in 1799. 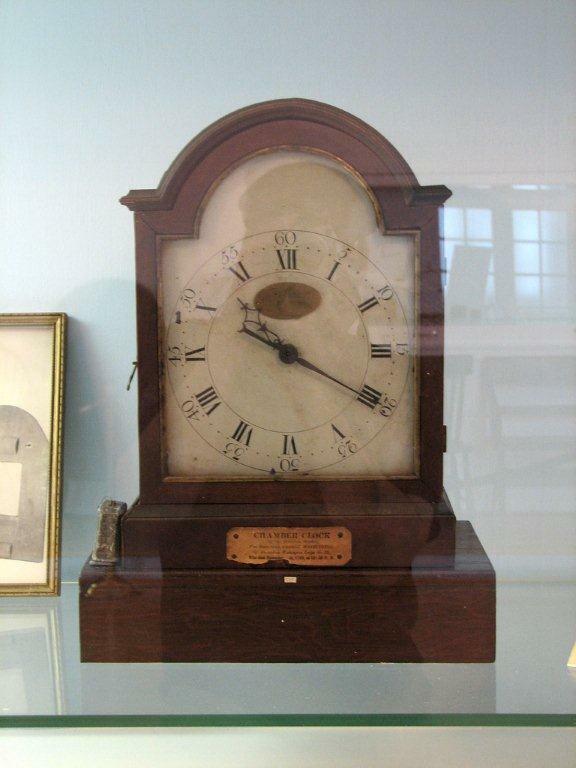 The clock is now owned by the Alexandria-Washington Masonic Lodge, and sits in the Masonic Museum in Alexandria, Virginia.